Dave Pierson passes away, another beacon of Island history to honor and lift up. Sad news descends on the Isles of Shoals community once again, as a beloved member passed away. 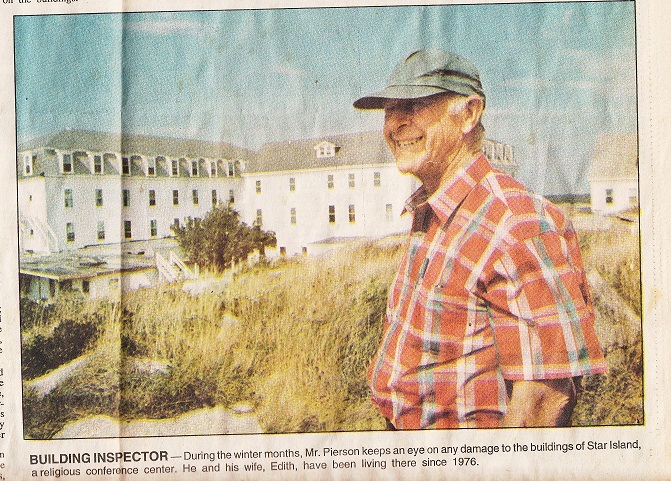 Dave Pierson worked at Star Island for 25 years, from 1969 to 1994. He was Island Engineer and winter caretaker with his wife, Edith Pierson for 18 years.